At Osteria Danny, we have three menus that change with chefs mood, the seasons and the ingredients that are available. With the proper notice our team is happy accommodate special requests. Take a look at some sample menus below. 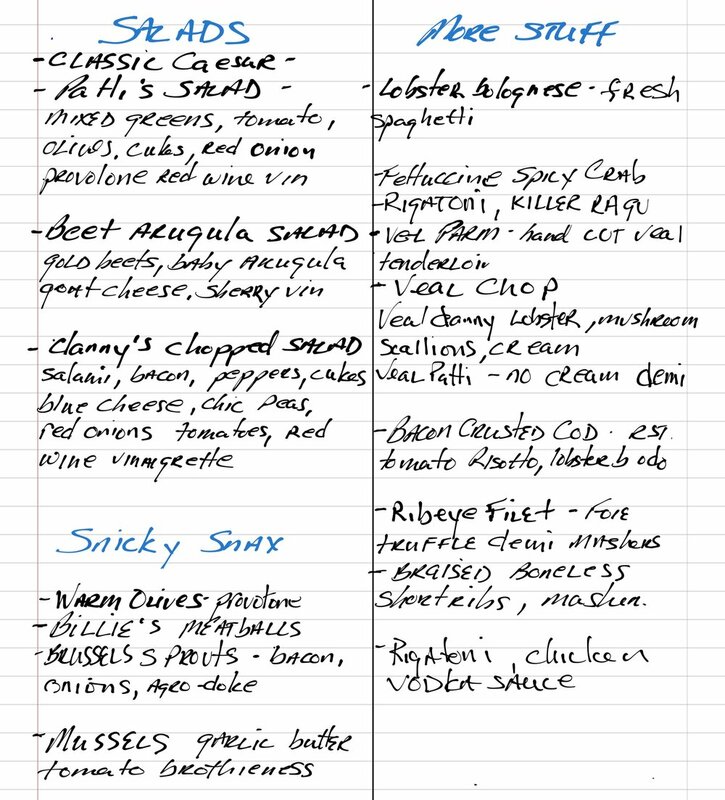 Chef hand writes our features everyday, so some of the menu items you see here, have changed.